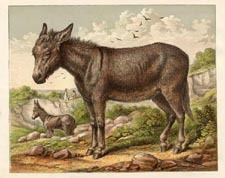 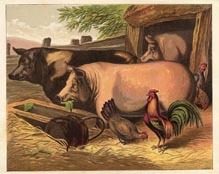 These colorful Mammal prints are from a Victorian children's picture book featuring Domestic Animals. 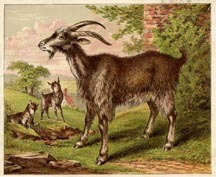 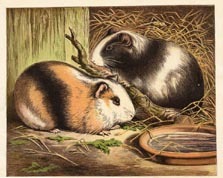 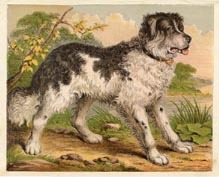 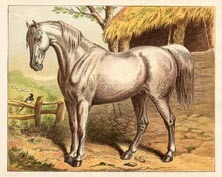 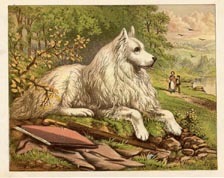 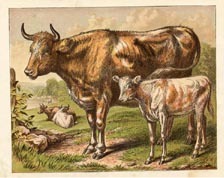 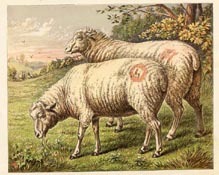 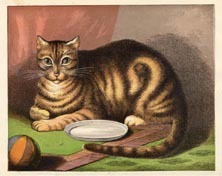 The prints were published by George Routledge and Sons. 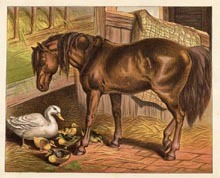 Routledge (1812-1888) was a British publisher of popular illustrated fiction for both children and adults. 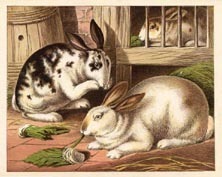 At one point the firm joined forces with the publishing company founded by Frederick Warne and his brother, best known as the publishers of the Beatrix Potter's stories.